Extrusion specialist Cincinnati Milacron is supplying the medical market with a range of extrusion lines designed for medical processes. There are 2 key areas for the medical market; small precision tubing for minimally invasive procedures, and larger bore diameter high speed tubing for more general medical applications. 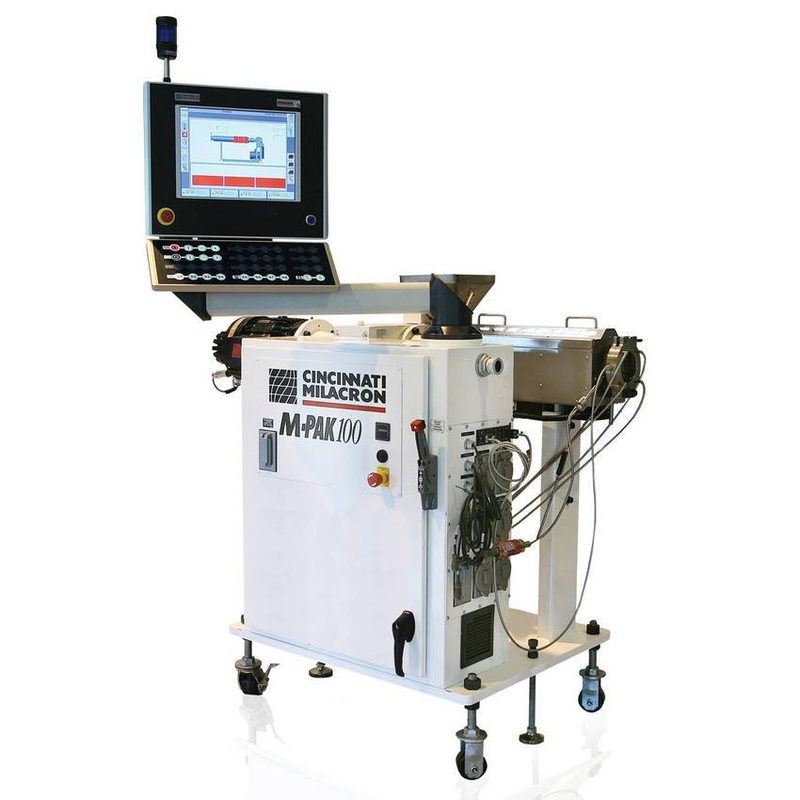 Cincinnati Milacron has the extrusion technology to supply the full range of applications. The M-PAK Range of Single Screw Extruders has been specifically designed for the stringent clean processing applications of the medical industry. They are optimised for processing small precision tubing including multi-lumen tubing of the type now used in catheters, vascular intervention and dialysis. These extrusion lines are capable of manufacturing a wide range of multi-lumen tubing which can have multiple lumens of 2 or more within the same pipe extrusion. This is produced through a specialised multi cavity die technology to produce multiple working channels and high mechanical performance with extremely high accuracy and precision. The barrel and screw metallurgy is specifically designed for processing medical polymers in a critical environment. Built from stainless steel, they incorporates a low-profile, modular design and smaller capacity hopper to fit better into clean rooms with Stainless Steel barrel covers, feed hopers and high efficiency sealed AC vector direct coupled drive. For extremely specialised requirements a second extruder can be used to provide a co-extruded outer layer. The M-PAK range uses the MOSAIC PLC – a sophisticated control system that can also operate other upstream or downstream equipment to provide complete operating control of the extrusion line.